The digital age has been presented as a stark contrast to everything that libraries have had to deal with prior to now. 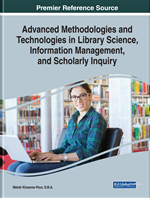 While it is true that academic libraries have had to change to stay relevant in the digital age, the changes are not as severe as was once thought. When libraries embrace a few simple changes and start thinking outside the box when it comes to their employees, their resources, and their mission statements, they begin to meet the challenges that the digital age presents, and will continue to thrive in the new world presented by electronic materials, while remaining true to their spirit of information exchange and knowledge sharing. Most people would say that the digital age was born with the internet. However digital technologies are much older than that, dating back to computers built in the 1960s. Libraries at this time were using MARC records, which were digitized and are still in use today (Arms, 2012). Though digital databases and e-books were still far in the future, libraries began using this technology early on to improve the quality of the services that they were offering their patrons. Technology was used to streamline libraries on both the back end and the front end, from the records that catalogers used to the way that patrons found materials in the library. Card catalogs became obsolete as computing power increased and those records were able to be digitized. The libraries still had tons of physical materials for people to use in their research, but the digital catalog helped make it easier for people to find those materials. In addition, telephones, not traditionally considered digital technology, helped the library answer questions without patrons having to be in the library. This was a marked change from previous interaction with patrons, because much of the traditional reference interview relies on the body language of the patron and picking up on clues that they do not know they are giving off. Without the visual cues, librarians had to sharpen their ability to hone in on problems. Just because the patron was calling with their question did not mean that they were certain about the information they needed. This remote-access librarianship paved the way for other methods of contacting librarians, including e-mail, instant messenger, and chat services. Learning from what they had done with regards to telephone interactions, librarians were able to adapt their reference interactions to serve their patron populations through these methods. While this greatly increased the contact librarians had with patrons, it did decrease the number of people coming into the library, and that was only the start.